Leading-edge idle-reduction technology developed by Canadian Extreme Climate Systems Inc. (CECS) is helping fleet operators like police forces and municipalities save millions of dollars and reduce the environmental impacts of operating their motor vehicles. 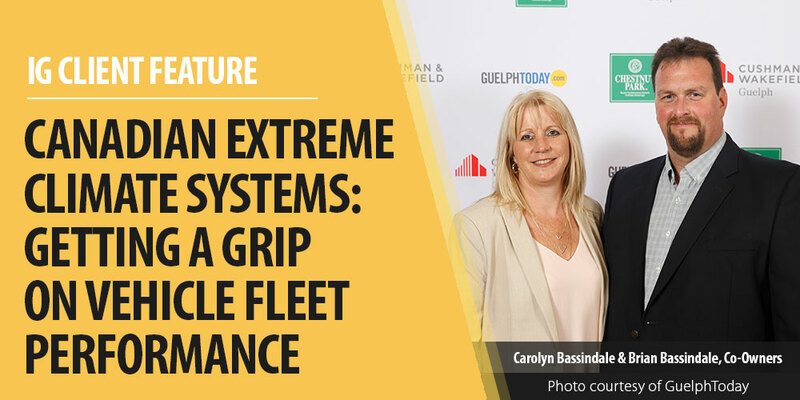 The Ancaster, Ont.-based engineering and design firm launched its all-new GRIP Idle Management System earlier this year, with help from Innovation Guelph’s Fast Lane program. 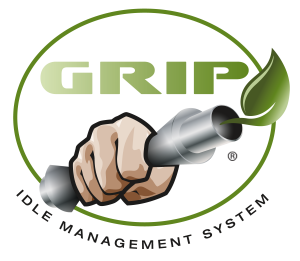 The patented GRIP system, first introduced in 2012 for light- and heavy-duty vehicles, automatically shuts off the engine after a predetermined amount of idling time when the vehicle is in neutral or park. This can reduce engine run-time by 30 per cent or more, lowering carbon emissions and fuel consumption while extending the life of the vehicle, resulting in significant savings for fleet owners. Founded In 2006, CECS takes a problem-solving approach to identify gaps in the fuel economy and GHG reduction features of vehicles from original equipment manufacturers (OEMs) like Ford and then engineering solutions and developing products that increase vehicle efficiency and reduce pollution. The company first joined forces with Innovation Guelph in 2016, through the Fuel Injection program, to secure a $30,000 matching grant and mentoring services for the launch of its Patriot auxiliary power unit. That led to the Fast Lane project to support the rollout of the GRIP 3.0 system. IG mentors worked with the CECS management team to identify an effective scale-up strategy focused on selling the GRIP 3.0 system to police fleet managers in the U.S. and Canada and to provide a strategic plan with achievable tasks to help the company achieve its scale-up goals. The GRIP is ideally suited to meet the needs of police officers – keeping them safe, comfortable and response-ready at all times. The system works in conjunction with climate controls to start the vehicle as necessary for heating and cooling; safety systems keep airbags, lights and sirens active at all times and deliver rapid start-up and anti-theft security. 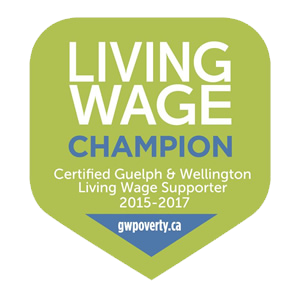 While the Fast Lane project wrapped up in early 2018, Bassindale and the CECS team continue to work with Innovation Guelph mentors including Campbell, Stacey Curry Gunn for marketing communications and Peter Osborn for human resources support to further develop the go-to-market strategy and ensure that the right people and processes are in place to fuel the company’s growth over the next two years. Bassindale says working with Innovation Guelph over the past couple of years not only helped CECS with product development, it opened up discussion within the company that led to new ways of thinking about their business model as a whole.